Our local IHOP likes to blast dance music during breakfast. Lou, your response deserves a page of it's own. I should probably know who they are - but I have to admit, I am clueless. Busted! OK, would you kindly break it down for nottabot? But Barney style. They are all high level mafioso. Infamous for sure. Ah haah. 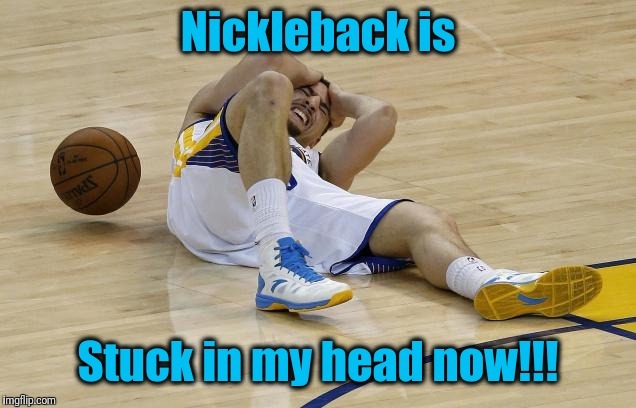 That would explain it. Of course, I don't know nothing. Didn't hear anything, didn't see anything. Didn't even THINK anything. Included are Santo Trafficante and Carlos Marcello. *ding ding ding* We have a winner! 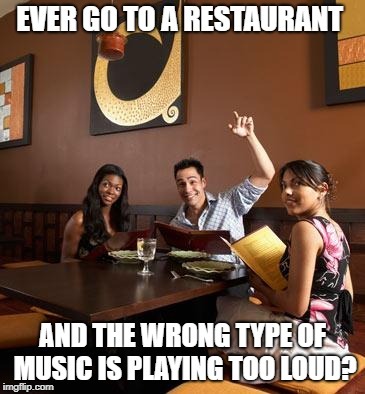 I boycott places that blast loud music anyway! I actually complained and the store turned their music down on one occasion. Other times they just act like "deal with it". I will never return to that IHOP. There are plenty of other places where I can relax while eating. I once about ran out of a Chick-Fil-A because of that. I was wearing ear plugs too. 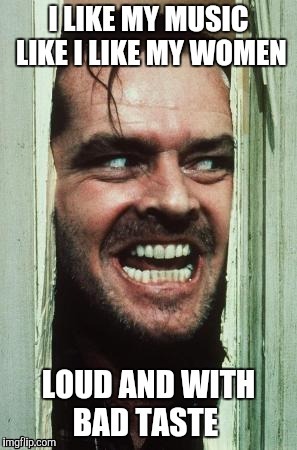 They were screaming THAT loud! No they didn't. I have corrected more children of strangers that I can count. I have also had a few nasty parents try and scold me for it. But it's kind of hard to argue when someone tells you they just saved your kid from running out in the street to be run over. Get yer faces outta yer cellular fones! Cellular fones? You must have studied fone-etics! I've been told the 'voice' we hear from cellphones is actually a (good) reproduction of the voice - as opposed to the old copper wire landline system transmitting an actual voice. "why dont you just meet me in the middle" shut up already i've heard that song like 50 million times, i just wanna get it out of my head!!! "I hope you dance". 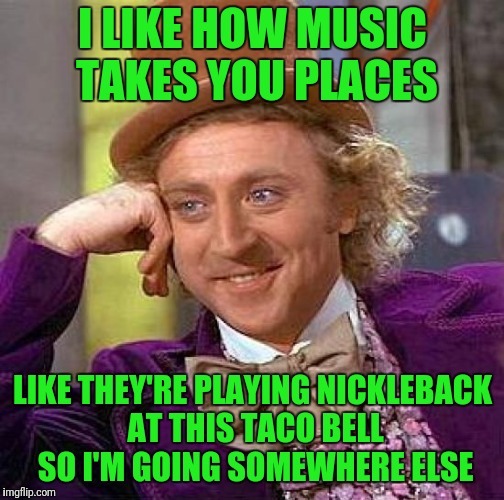 OFF A CLIFF AND TAKE THAT SONG WITH YOU! I truly despise it. 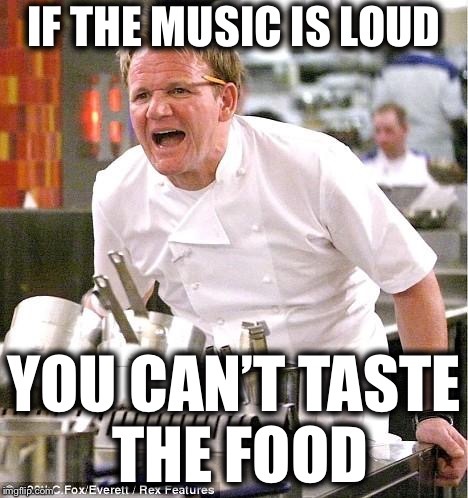 EVER GO TO A RESTAURANT; AND THE WRONG TYPE OF MUSIC IS PLAYING TOO LOUD?